This is a no-sugar-added recipe. We use it for breakfast or dessert. It keeps well in the fridge for four or five days. 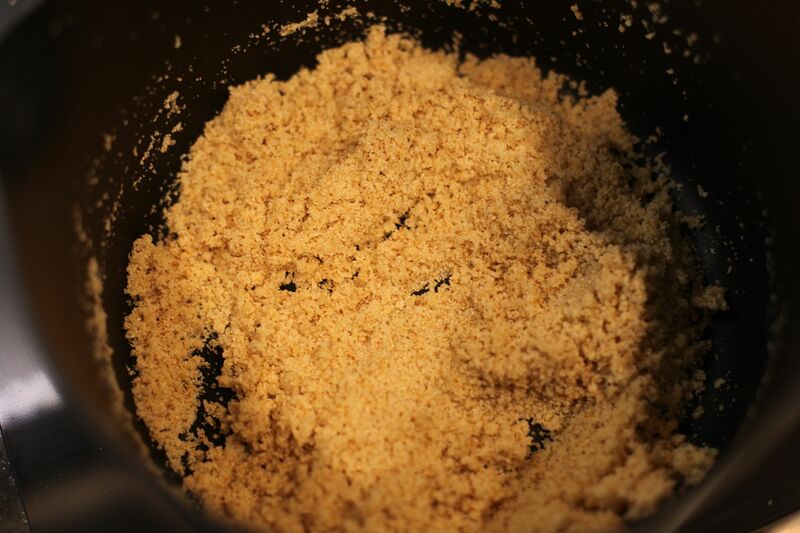 As a child I loved the Sooji Halwa my grandmother made and I’ve always loved the German breakfast version. 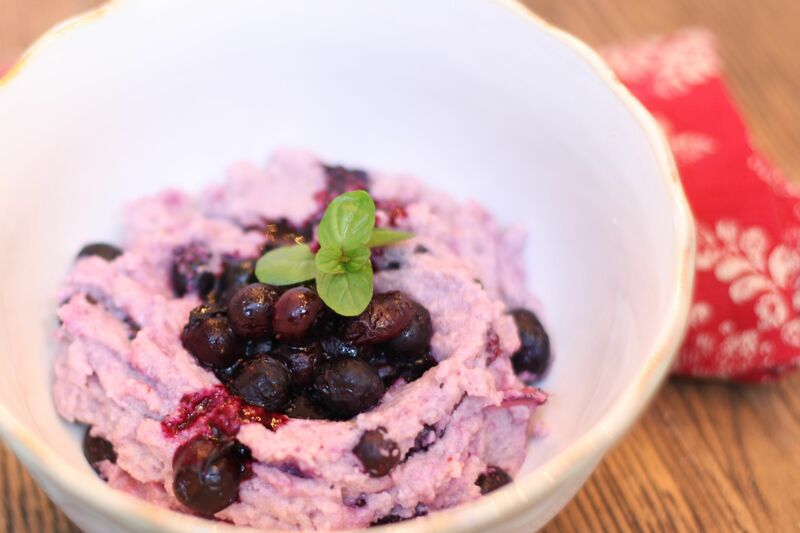 Two totally different ways of cooking this very versatile and nutritious food. 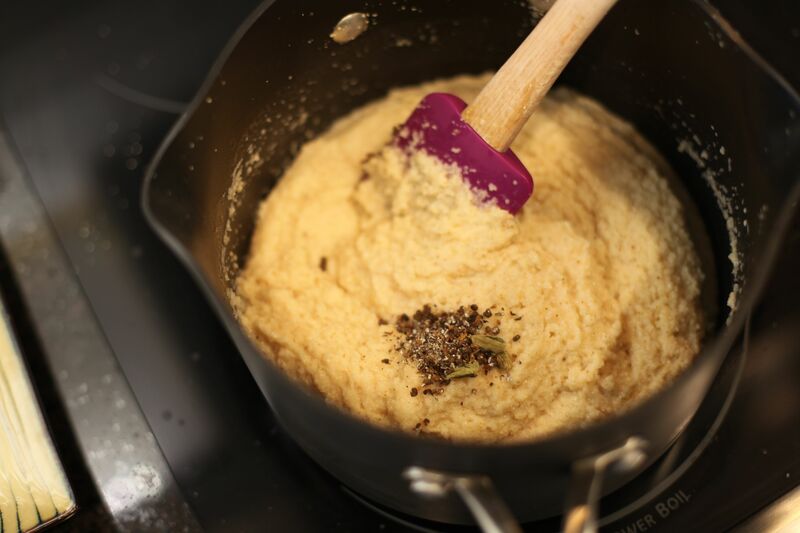 Semolina is not safe for people who cannot digest gluten or have celiac disease. If you are able to include this in your diet you will benefit from its amazing properties. And it is a great comfort food at the same time. 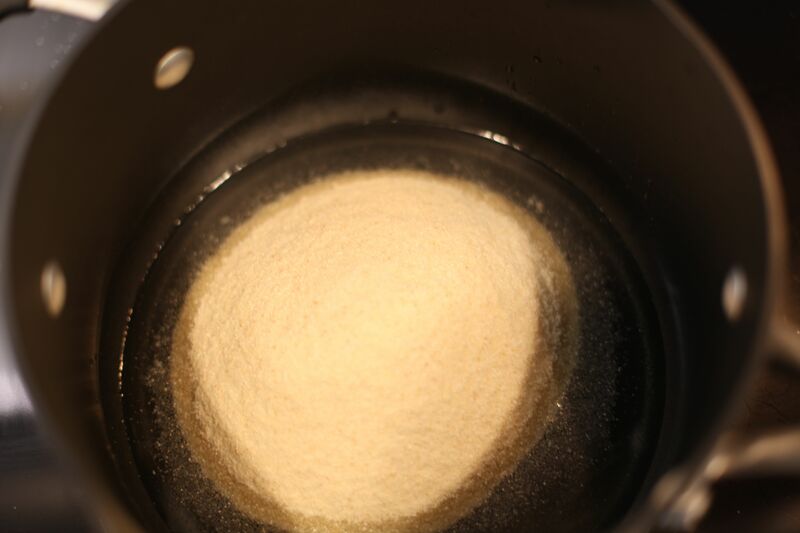 Semolina is rich in protein, B-complex vitamins, selenium, and iron. It gets its calories from carbohydrates a great source of fuel for your tissues. Most Sooji Halwa is rich and has a lot of nuts and sometimes dried fruit. Pistachio, raisins, and slivered almonds to name a few are often sprinkled over the top and sometimes added during the cooking. It is absolutely delicious. We used to have it for special occasions and generally for breakfast. The German versions I’ve had included breakfast dishes and desserts. 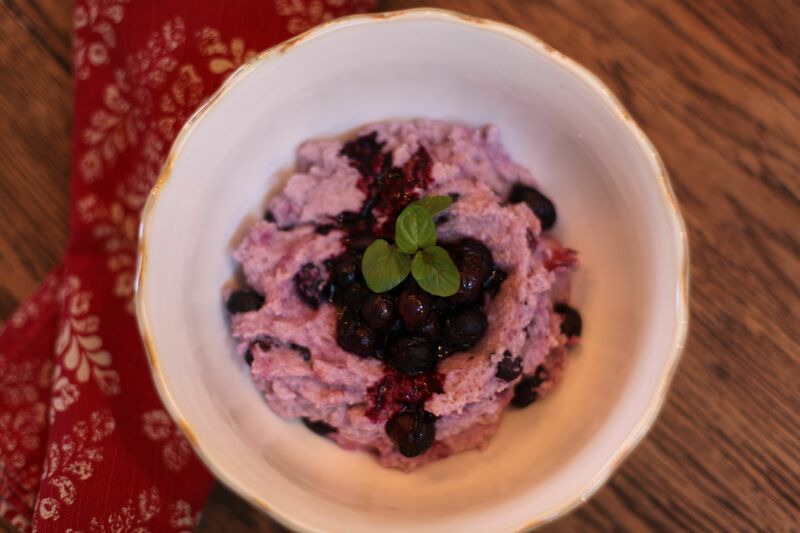 My version of this recipe combines my grandmother’s recipe with a German one and to pack more nutrition into it I add more fruit. Two cups of frozen blueberries and strawberries or fresh (chop the strawberries) – save half a cup for garnish. 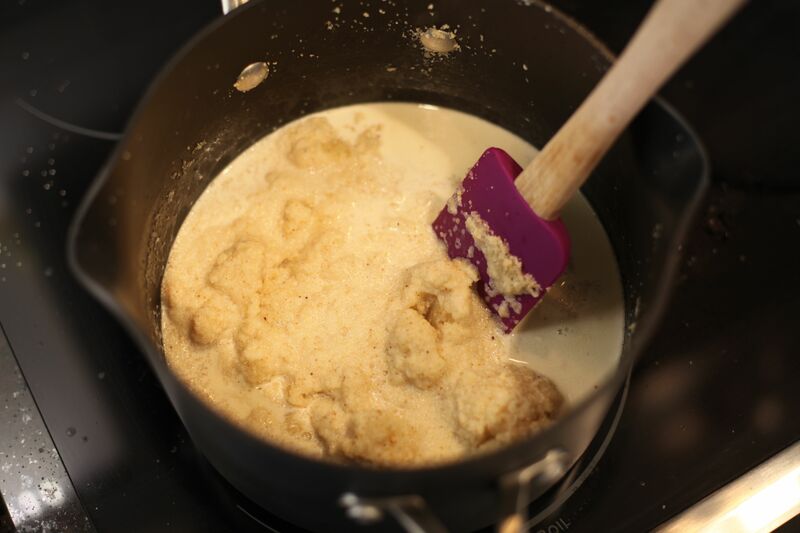 Add the crushed cardamom. 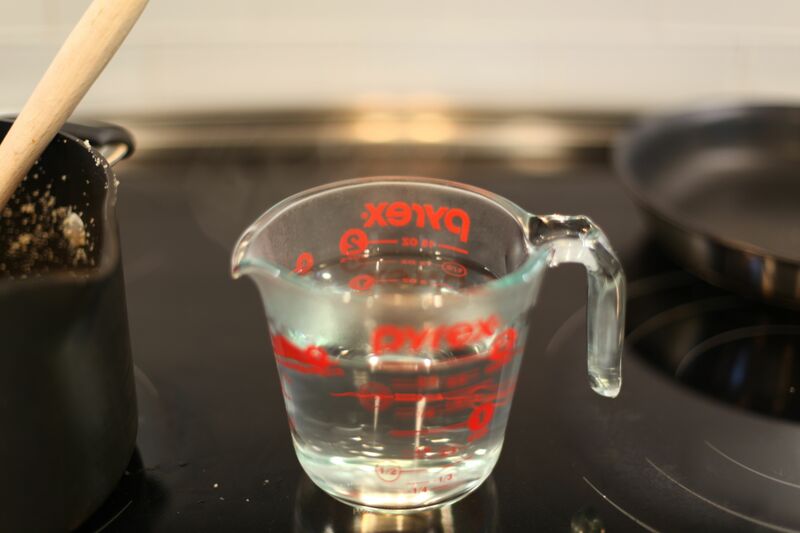 Once the sooji starts to pull away from the sides, remove from the stove and add sweetener. I used Stevia for this one. Stir in well before you add the fruit. 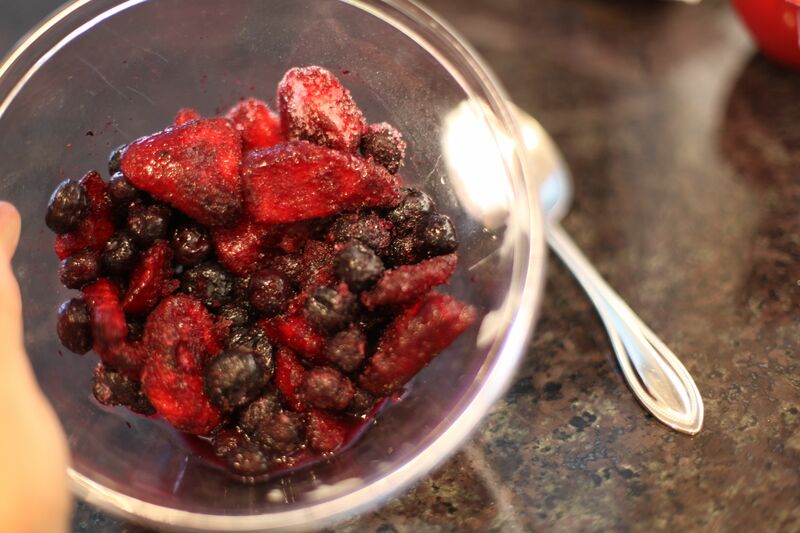 Add the frozen berries (I defrost them first, a minute in the microwave). Do not return to the stove. I use extra blueberries to garnish. 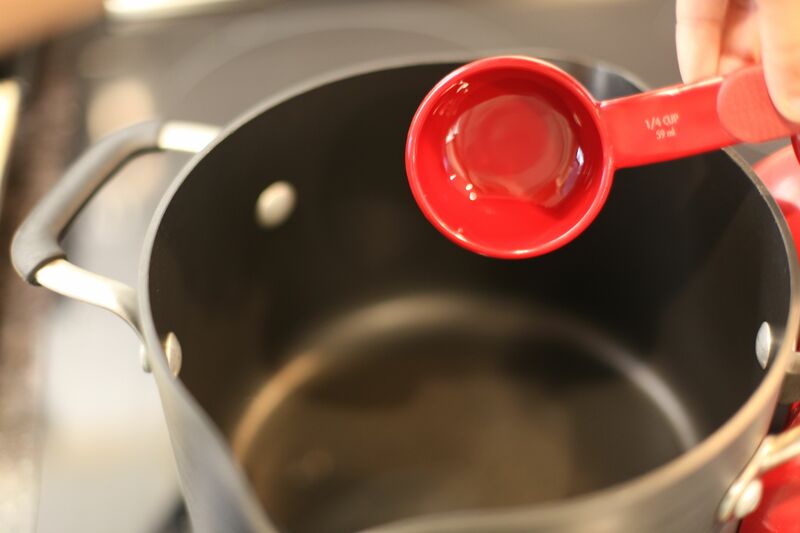 Make a well in the center with a spoon and add defrosted blueberries and pour the juice over the sooji. A sprig of mint from my garden or yours. If you try out this recipe please let me know how it turned out. Leave a comment. Thanks and happy cooking!